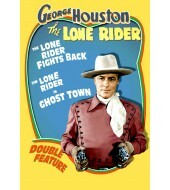 When PRC (Producers Releasing Corporation), a relatively new company on a shoestring budget, decided to experiment with singing cowboys, George Houston was hired on as Tom Cameron in the LONE RIDER. Houston starred in eleven films over two years as the Lone Rider with Al "Fuzzy" St. John as his sidekick. 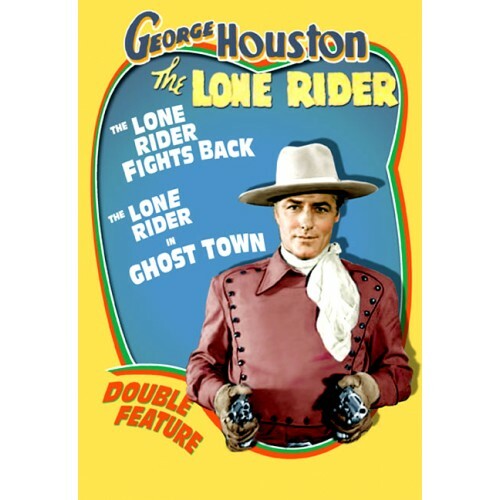 In this exciting double bill containing Lone Rider Fights Back (1941) and Lone Rider In Ghost Town (1941), our hero Tom Cameron fights against injustice while entertaining us with his singing.